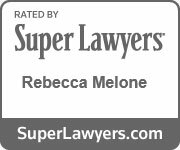 Guardianship & Conservatorship | Melone Law, P.C. In the Commonwealth of Virginia, a guardian may be appointed by a court to care for a person who is considered incapacitated. A judge will first decide if a person is incapacitated, and if no documentation is in place to name a family member or other person as a guardian, the judge will then appoint a guardian. This guardian will be responsible for overseeing the other person’s affairs, while a conservator is in charge of the person’s financial affairs. The court may decide to impose limitations on guardianship depending on the individual circumstances, but guardianship is typically reserved as a last option for care. A guardian will be appointed if a person has a physical or mental problem that prevents him or her from taking care of basic needs and if the person has no family member or other person available to care for them. The guardian will make decisions about the livelihood of the person, including responsibilities related to health, food, and residence. A conservator will be appointed if a person is unable to manage his or her financial affairs and has no one available to control the decisions on his or her behalf. Once appointed by a judge, a conservator must take inventory of the person’s property and file the appropriate documents. The conservator will then manage the person’s property while keeping his or her finances separate. The conservator is, however, allowed to make investments and financial decisions on behalf of the incapacitated person. Guardianship and conservatorship involve complicated, time-consuming processes that often are left to the court’s discretion. With careful planning and documentation prepared in advance, however, these court processes can be avoided or shortened. While working with our attorneys at Melone Law, we can assist you in planning for the unexpected when you are still able to make your own decisions. Our attorneys will help you create a health care power of attorney, a mental health care power of attorney, a living will, and any other documents required to avoid a guardianship or conservatorship proceeding. We can also produce a durable financial power of attorney in order to arrange your financial affairs if incapacitation should occur. Without advance preparation, your family’s future may be left to the decision of a judge, preventing you from achieving the outcome that works best for you. Contact our office to learn more about your options and to avoid the hassle and stress of the guardianship and conservatorship process.